There is an exhibition at the Museum of Fine Arts, Boston called Ansel Adams In Our Time. The exhibition puts Adams in context with landscape photographers who proceeded him and with a number of modern photographers as well. This exhibition makes it clear that Adams is not only relevant in the modern age, but as we become more concerned with the need for conservation and ecological awareness, the importance of Adams and his work continue to take on greater significance. Of course, Ansel Adams was not the first serious landscape photographer. He was proceeded in the 19th century by photographers such as Carleton Watkins (1829–1916), Eadweard Muybridge (1830–1904), Timothy O’Sullivan (1840-1882) and Frank Jay Haynes (1853–1921). But most of those earlier photographers are not well known to contemporary audiences. The one name that almost everyone recognizes is Ansel Adams. As a young man, during the summer Adams would enjoy a life of hiking, camping, and photographing, and the rest of the year he worked to improve his other main interest – piano playing, expanding his piano technique and musical expression. He also gave piano lessons for extra income, with which he purchased a grand piano suitable to his musical ambitions. An early piano student was a mountaineer and fellow Sierra Club leader Jules Eichorn. Adams at one point had aspirations to become a convert pianist but for various reasons gave that up to concentrate on photography. His first photographs were published in 1921 and he began selling his Yosemite prints the next year. His early photos already showed the careful composition and sensitivity to tonal balance he would become famous for. He would take his bulky equipment and hike to the best locations, no matter how difficult or hazardous. In his letters and cards to family, he wrote of having dared to climb to the best viewpoints and to brave the worst elements. During the mid-1920s, Adams experimented with a number of different stylistic approaches. He adopted the techniques of the pictorial photographers, such as Photo-Secession promoter Alfred Stieglitz who strove to have photography considered equivalent to painting by trying to mimic it. But then adopted and became known for a more realistic approach that relied on sharp focus, heightened contrast, precise exposure, and darkroom craftsmanship. In actual fact, Adams’ approach was not really “realistic.” He would use the swings and tilts of a view camera and stopped down the aperture to f64 to create an image that appeared to be in focus from a few feet away to infinity. This is NOT the way the eye sees the world. So this was hyper-realism rather than realism. Ansel Adams’ photographs were not only hyper-realistic but idealistic as well. You don’t get photos like those of Adams by just going out to shoot Yosemite any time you feel like it. He would not only pick just the right viewpoint but also chose the most dramatic light and weather conditions. And then there was his work in the darkroom. Back in the day, photographers had a much more limited technology to work with. Adams knew how to manipulate exposure and development to produce negatives with exactly the kind of contrast range he was looking for. He was a master chemist in the darkroom and was able to achieve results most other photographers weren’t capable of. BW images are abstract my nature, since the color information has been eliminated. Further manipulation of the photo by exposure and development techniques plus dark room techniques, like dodging and burning, end up producing a result very different from that the human eye normally perceives. Of course, technology aside, Ansel Adams also focused on the landscapes of the great American west at a time when they were still relatively pristine but just beginning to be exploited by industry and overrun by tourists. This was before the culture fully realized what tremendous value these wild places represented or the degree to which they needed to be protected. So while Adams had a fair amount of success earlier in his career, his photos were regarded more as pretty pictures than as important representations of important American resources or significant contributions to the conservation movement. However, as time went on and the public became more and more aware of the fragility of our wilderness areas and the need to respect and protect them, the photos of Ansel Adams began to be seen in a new light. As people began to value the wilderness to a greater degree, the appreciation of the photographs of Ansel Adams increased as well. 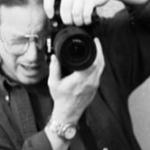 At this point Adams became viewed as an icon of photography and a national treasure. Adams pretty much stopped shooting his important photos as of the early 1950s. Instead, he turned to teaching and writing books. He developed the Zone System, a photographic technique for determining optimal film exposure and development. Whereas a photographer like Brett Weston ultimately burn his negatives, Adams encouraged his students to make their own prints from his negatives. Because of the ever increasing progress in the technology of photography, many of the later prints that Adams and his students made are actually superior to the ones he created decades earlier – better tonal range, deeper blacks. By the 1960s and 1970s, you no longer needed to be quite the chemist to achieve quality results int he darkroom. Throughout his career. 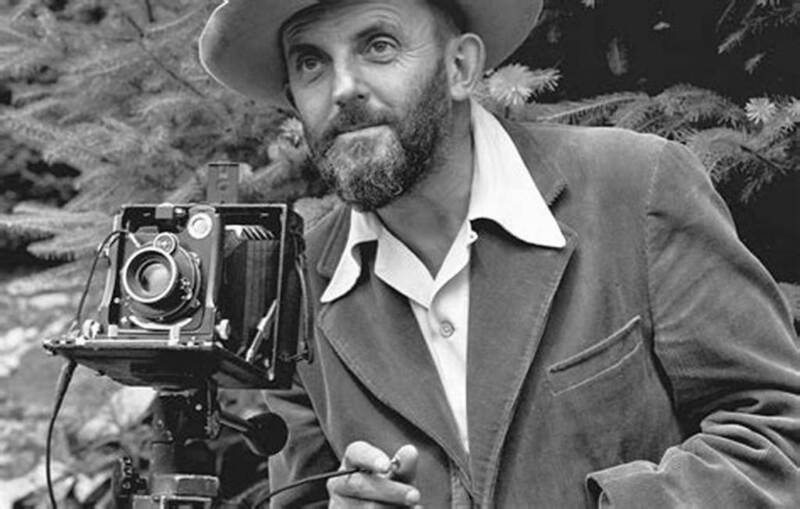 Ansel Adams was able to make a living but in the early 1970s, he achieved a much greater level of financial success. The 1970s saw the beginnings of the growth of the modern fine art market for photography and as photographs in general increased in value, so did the images of Ansel Adams. His work has also benefited from the impact of the modern ecological movement and vastly increased interest in conservation and protecting the environment. The landscape photos of Ansel Adams remain a primary reminder of the value to America and the world in general of preserving and protecting the wilderness and the fewer and fewer wild places that continue to exist. The Negative: Exposure and Development, 1949. ISBN 0-8212-0717-2. Sierra Nevada the John Muir Trail, 1938. (reprinted 2006 as ISBN 0-8212-5717-X). My Camera In The National Parks, 1950. The Islands of Hawaii, 1958. The Tetons and the Yellowstone, 1970. Ansel Adams, 1972. ISBN 0-8212-0721-0. Images, 1923–1974, 1974. ISBN 0-8212-0600-1. Yosemite and the Range of Light, 1979. ISBN 0-8212-0750-4. The Portfolios of Ansel Adams, 1981. ISBN 0-8212-0723-7. Examples: The Making of 40 Photographs, 1984. ISBN 0-8212-1551-5. An Autobiography, 1984. ISBN 978-0821215968.
Letters and Images 1916–1984, 1988. ISBN 0-8212-1691-0. America’s Wilderness, 1997. ISBN 1-56138-744-4. Ansel Adams in the National Parks: Photographs from America’s Wild Places, 2010. ISBN 978-0-316-07846-7. Ansel Adams in the Canadian Rockies, 2013. ISBN 978-0-316-24341-4. Ansel Adams in Yosemite Valley: Celebrating the Park at 150, 2014. ISBN 978-0316323406.